For a memorable gathering with friends or colleagues, enjoy the casual, warm atmosphere of The Lobby Lounge at The Inn at Spanish Bay. Curl up in an over-stuffed chair in our lobby, in front of the warm fireplace. Or slip outside to the terrace and enjoy a glass of wine around our outdoor fire pits. Or gaze at the sunset while listening to the bagpiper, an unforgettable ritual every evening. The Lobby Lounge serves a unique cocktail menu, and features dishes from neighboring Roy’s at Pebble Beach. "I like The Lobby Lounge in the evening, where families gather, couples sip champagne, before the fireplace or outside around the fire pits, and jazz musicians play…"
The Lobby Lounge featuring a delicious variety of Hawaiian-fusion menu items from Roy’s at Pebble Beach. For a memorable experience, relax outdoors by our warm fire pits with some hors d’oeuvres and cocktails, cozy up in our inviting lobby and enjoy some swinging jazz on Thursday, Friday and Saturday evenings! 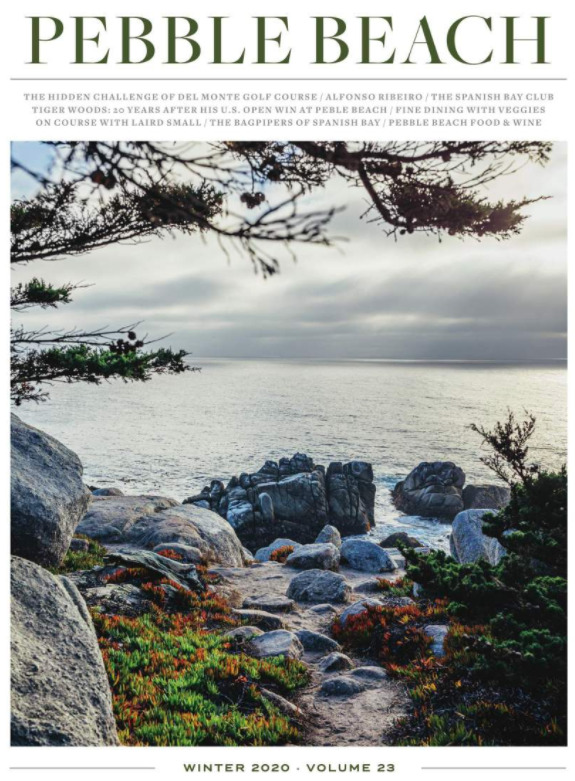 "Tap into one of the better by-the-glass lists…and if the wind isn't lashing off the bay, lounge on the outdoor patio with its fire pits to await the inn’s bagpiper, who appears nightly for an infusion of Scottish drama."